Fall is definitely in the air here.....well, temporarily anyway. I heard it will be warming back up. It would be fine with me if it stayed in the seventies. That is like the perfect temperature with low humidity. I hope y'all are having some nice weather, too. I'm also definitely thinking about the poor folks in California with those fires burning. Did you catch my deck dressed for fall last week? I'm slowly adding fall around the house. One of the first things that got the fall touch was the mantel I shared yesterday. Seems feedburner didn't do a very good job of sending that post out to subscribers yesterday. Lots of terrific links last week so let's take a look at just a few. 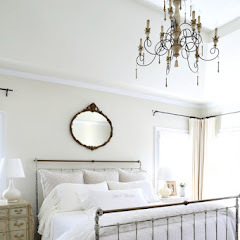 Anne of Design Dreams by Anne did a fabulous job adding cottage style to her bedroom. 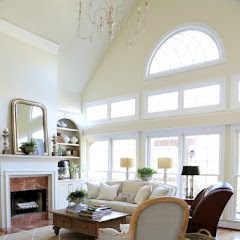 I just love this cozy reading nook by Little Farmstead. Pretty master bedroom is ready for fall at Housepitality Designs. 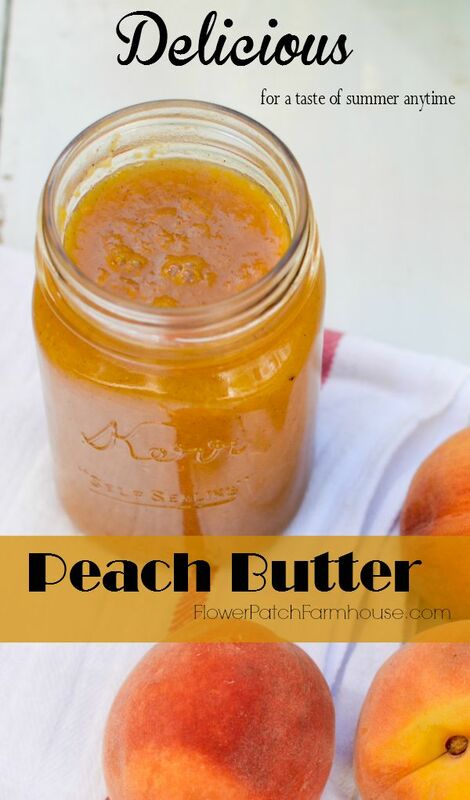 Yummy peach butter recipe shared by Flower Patch Farmhouse. 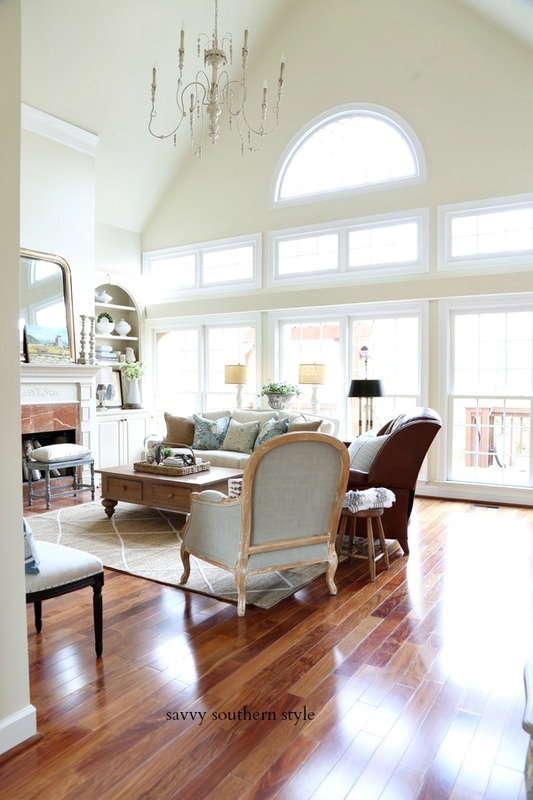 Find some five fall decorating ideas by Surroundings By Debi. Now we want to see what you have to wow us with this week.! Thanks so much for the party Kim. It's always great to catch up with what everyone is doing. Hey Kim, Happy Fall! Love these cooler temps, even if they're only in the mornings. That, together with fog on the river, sunshine and great shadow angles make for some great mornings. Thanks for hosting. Wonderful features this week, Kim! Thanks for hosting another great party! Wow Kim I love your deck all decked out for the fall! Gorgeous!!! Thank you so much for hosting and have a great week! Hi Kim, Thanks for hosting and I love your Fall porch. 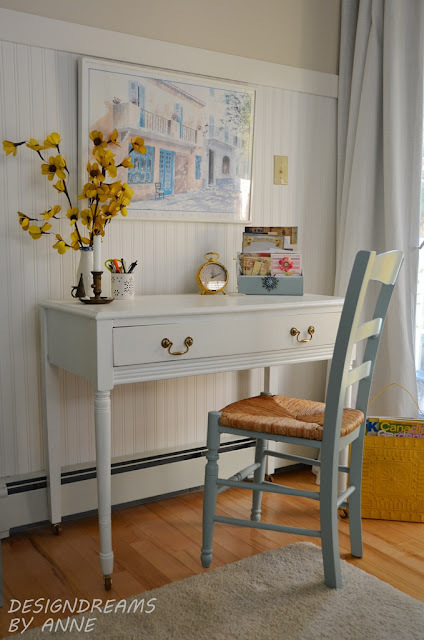 Love all of the features from that great chippy bench to the pretty cottage bedroom by Anne, the amazing Fall projects and the super delicious looking Peach Butter...oh, and me...thanks for the feature of my master bedroom Kim!!! !....Thanks for hosting and have a great week!! I did see your porch and it gorgeous! Pretty mantel. Thanks for hosting. 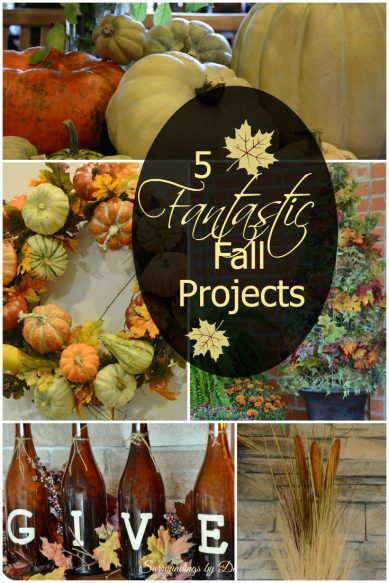 Thanks for featuring my 5 Fall Projects Kim! Your blog is an inspiration for me! Have a wonderful week! Thanks so much for hosting Kim. 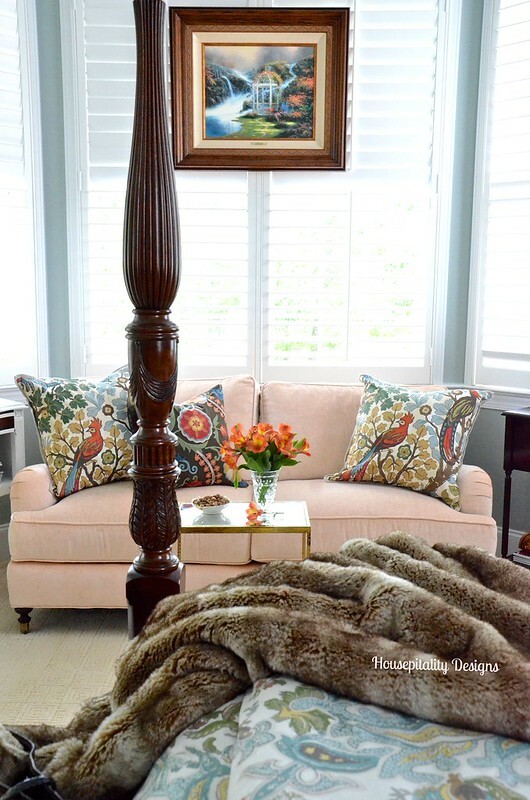 Love your fall mantle and Shirley's fall master is fabulous! Hope you're having a great week! thanks so much for hosting! Thanks for hosting, have a great week. 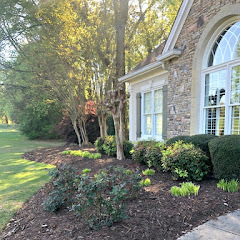 LOVE your Fall porch! 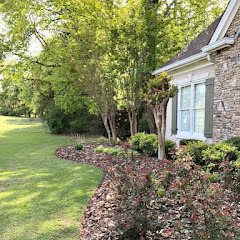 Your back porch looks wonderful - love those buffalo check type pillows! Didn't get to see your mantel yet so will head there now. Thanks for hosting this wonderful party and the fantastic inspiration you've featured. Thanks for hosting, Kim! Can't wait to see more fall at your home!! Off to visit your features! Kim, thank you for hosting each week! Thank you for hosting Kim! Your deck is looking fantastic! Who doesn't love fall? Lots of fun posts this week! A warmly decorated deck filled with sunshine and beauty! Thanks for the party, Kim! Have a wonderful Wednesday! Thank you for hosting and for having me! Great features!!! Hi! It's my first time taking part! Thanks for the link-up. So many amazing projects! 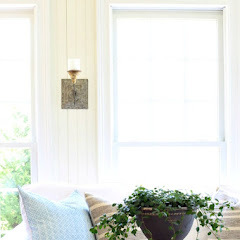 Thank you so much for including my bedroom makeover in your features! Have a happy day! I love your features this week. Thank you for hosting this party, Kim! Your mantel is really pretty Kim! Thanks for hosting! I guess it's time to pull out my fall bins! Have a wonderful weekend! Loved your mantel! Sharing mine today!! Thanks for hosting beautiful party! 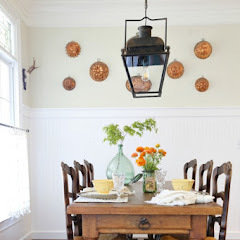 Love the shutters on the pergola Kim! Looks great! I'm loving the links this week, Kim. Thanks for always being such a kicking host. Kim, thanks for the link party!! Thanks again for hosting, Kim! Your deck and mantel are gorgeous - all set for Fall... and cooler temps! Have a great weekend!